KCCA FC celebrate their victory against Vipers FC. 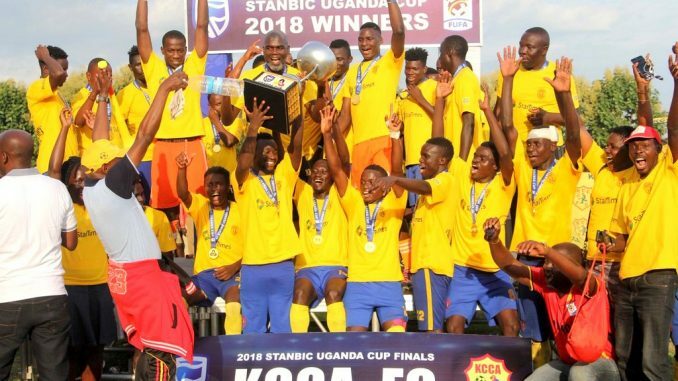 Kampala Capital City Authority (KCCA) FC has retained Uganda Cup after beating Vipers 1:0 in the final match held in Bukedea district on Saturday. 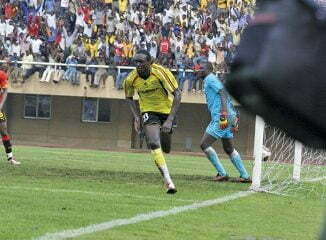 Julius Poloto scored the lone KCCA FC goal in the 38th minute of the match watched by hundreds of football fans. He headed the ball in the net from a neat pass by Allan Okello. 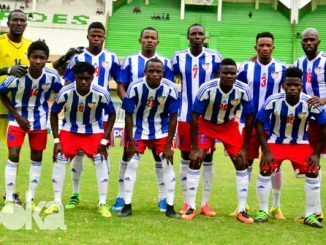 However, KCCA completed the match with man less after Saddam Juma earned himself a red card in the 68th minutes of the game. Paul Mucureeu, one of the KCCA players, said he was happy that they had defended the trophy. Mike Mutebi, the KCCA head coach couldn’t hold back his excitement after retaining the trophy. Gorge Migued Duarte de Costa, the head coach of Vipers said his team played well but misused some of the chances. “Although we lost but I appreciate the players for the good game,” he added. The best players from the tournament received television sets. They included Allan Okello, the best player of the tournament, Charles Lukwago, the best goal keeper and the top scorer, Patrick Kadu, all from KCCA FC. All KCCA FC players were awarded Gold medals while Vipers players got silver medals. This year’s Uganda cup was sponsored by Stanbic Bank.